We've successfully maneuvered our way through three weeks of the college football season, with a sparse amount of highs and a litany of lows in the Pac-12. Last week's games produced a series of moments on both ends of the spectrum—with Arizona and USC looking flat-out ugly in road losses to Houston and Stanford, while Colorado punched its way past longtime rival Nebraska in Lincoln. The 12-game college football season is a grueling gauntlet for most teams, with a single loss standing between immortality and failure. It's been a brutal start to the season for the conference's dark-horse preseason darlings, Arizona and USC, with the former starting 0-2, while the latter sits at 1-1 after a dismal showing in Palo Alto. The Cardinal have been rock solid to start the season, trouncing San Diego State by 21 points in their opener, before stifling a solid USC team 17-3 last Saturday. The Cardinal have looked like a much better team top-to-bottom than last year's squad, which was basically reliant upon the exploits of dynamic running back Bryce Love to succeed. They were lucky, as Love put up a season that should have won him the Heisman Trophy, with 2,118 rushing yards and 18 touchdowns for the Cardinal, despite being hobbled by a nasty high ankle sprain for most of the year. The biggest difference with the Cardinal this fall is the performance of junior QB K.J. Costello, who has 515 passing yards and 5 passing touchdowns in two games, while only throwing one interception in that stretch. Love rebounded from a rough opening game against SDSU, where he ran for 29 yards on 18 carries, with 136 rushing yards and a touchdown on 22 carries against the Trojans. Expect the Cardinal to roll over Dan Hawkins' University of California-Davis team this week, with a road trip to play 20th-ranked Oregon looming large on Sept. 22. No Pac-12 team has caught me by surprise quite like the Buffs have through their first two games. I was quite impressed by Mike MacIntyre's team and the way they handled their business in Lincoln on Saturday, with junior QB Steven Montez completing 33-of-50 passed for 351 yards and three scores against a much-improved Huskers defense. The Buffs have looked explosive on offense through two games, destroying my alma mater (Colorado State) 45-13 in their opener on Labor Day weekend, exhibiting the type of offensive firepower that's been lacking in Boulder for the past decade or so. The Buffs face their final non-conference tuneup game against the University of New Hampshire this weekend, before hosting Chip Kelly's UCLA squad on Friday, Sept. 28 in their conference opener. Don't be surprised if Montez keeps the Buffaloes in contention for a division crown as the season progresses. The Huskies entered the season as the unanimous pick to be the Pac-12's on-field darling, but ran into a buzzsaw against Auburn in week one. The Huskies weren't able to usurp the Tigers' defensive prowess in a game that the conference desperately needed to win from a PR standpoint, falling 21-16 in a defensive bloodbath of a game. Chris Peterson's team rebounded nicely against a mid-tier FCS squad last week, with a crucial contest in Salt Lake City against an undefeated Utah team on Saturday. The issue is that senior QB Jake Browning has been inconsistent through two games, posting a QB Rating of 53.5 (on a scale of 0-100) against Auburn, before rebounding somewhat to 70.2 against North Dakota. That inconsistency is nothing new for Browning, who finished last season with a 59.8 QBR in 13 games a junior in 2017, a year after a promising sophomore campaign where he had a QBR of 71.1 for the Huskies. It's clear that the senior is heading in the wrong direction statistically for the Huskies, though he has a definitive chance to salvage his career with a strong showing in the conference season. It'll be interesting to see if Browning can crack the Utes' strong pass defense this Saturday, with Utah ranking second overall in passing yards allowed per game, at 62 passing yards per game against Weber State and Northern Illinois University. All hail The New Leadership Model of Herman Edwards in Tempe, as the man who started his tenure as a national punchline has turned in two excellent outings as the Devils' newest coach. His team, led by senior QB Manny Wilkins, has thwarted Texas-San Antonio and MSU in Tempe, with a huge matchup against San Diego State in California this Saturday. The Devils' latest magic trick against MSU was impressive, as Wilkins was able to resurrect the team from a 10-point deficit in the game's final quarter, with kicker Brandon Ruiz putting the final nail in the Spartans' coffin with a game-winning 28-yard field goal as time expired. ASU's defense has been surprisingly strong through its first two games, surrendering 298.5 yards per game, which is third-best in the Pac-12. It'll be interesting to see if Edwards' early season juju can live on as tougher opponents toe the opposing sideline each week, but it's been an entertaining start in Tempe, to say the least. The Ducks have played two lifeless opponents, pummeling Bowling Green and Portland State by a combined score of 120-38 within the friendly confines of Autzen Stadium in Eugene. They have looked quite sharp offensively though, with QB Justin Herbert completing 63.8 percent of his passed for 531 yards and 9 touchdowns, while backs CJ Verdell and Tony Brooks-James have run for a combined 291 yards on 50 carries and 3 touchdowns so far. The Ducks have one more cupcake on their non-conference schedule, facing San Jose State this Saturday, before kicking off the conference schedule against Stanford on ABC's Saturday Night primetime game on Sept. 22. 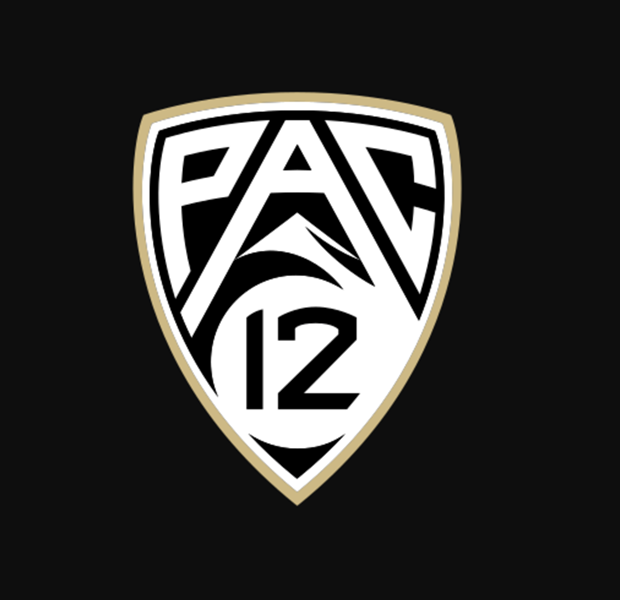 Buckle up for that one, as that'll give us a much better indication of who is the bona fide Pac-12 North favorite heading into the second half of the season. The Bears, unlike the prodigal sons of Tucson, handled their business against Brigham Young on Saturday—waltzing into Provo and leaving with a hard-knock victory. The Golden Bears have not looked great in two games, beating a mediocre North Carolina squad 24-17 in the opener two weeks ago before winning in Provo, but they've gotten the job done. The Bears' offensive balance through two games has been marvelous, with 333 passing and 332 rushing yards to their name in two games this season. Their two-headed rushing attack of Patrick Laird and Brandon McIlwain has been dynamic at times this season, with Laird racking up 125 yards on 39 carries, while McIlwain has 100 yards on 19 carries for the Bears this season. Sure-handed receiver Kanawai Noa has been excellent as well on the outside, hauling in 10 catches for 108 yards and a touchdown for Coach Justin Wilcox's team. It'll be interesting to see if the Bears can keep their early season momentum alive in three weeks, when Oregon will come to Berkeley. The Bears have a walk-through this week against a hapless Idaho State squad, before taking a week off to prepare for the Ducks, meaning they'll be well-rested and ready for their annual rivalry game. The Trojans took one on the chin in Palo Alto last Saturday, mustering up three measly points against the Cardinal, a week after cruising over UNLV, 43-21. True freshman QB JT Daniels looked the part of an overmatched 18-year-old on Saturday, completing 47 percent of his passes (16-of-34) for 215 yards with zero touchdowns and two interceptions. The Trojans' once-dynamic rushing attack was even worse, somehow, earning 3.1 yards per carry on 37 attempts, with senior Aca'Cedric Ware leading the way with 59 yards on 18 rushes. The Trojans do not look like a legitimate conference contender so far, but might hit their stride soon, with a road trip to Austin to face the University of Texas on Saturday. The Trojans have a soft landing after that, with games against Washington State (home), Arizona (road) and Colorado (home) in consecutive games. The sky isn't falling in Los Angeles just yet, but it's certainly looking more and more foreboding by the day. The Utes first two contests have been against opponents that few outside their respective markets have heard of (Weber State and Northern Illinois), winning those contests, 41-10 and 17-6. The Utes have taken care of business in those contests, with QB Tyler Huntley completing 63.4 percent of his passes fo 565 yards and four touchdowns, while back Zach Moss has 216 yards and two scores on the ground. The Utes have been rather blasé since moving to the Pac-12 in 2011, with an overall record of 55-36 in that stretch, with two losing seasons and one 10-win campaign. They have yet to qualify for a Pac-12 conference championship game, but might do so this year if Huntley stays healthy and USC continues to sputter. We'll have a much better idea of whether they're for real or not after this week's contest in SLC against Washington, with road trips to Pullman against Washington State and Palo Alto against Stanford coming up. Mike Leach's bunch has earned a pair of wins against teams that are in the 'meh' category of the Mountain West, beating Wyoming in Laramie 41-19 in their opener, before blanking an awful SJSU team in week two. The Cougars play Eastern Washington this week, in a matchup of two of the best (and only) programs that play football on the Washington side of the Palouse, with EWU coming off wins against Central Washington and Northern Arizona this season. EWU is a sneaky good Football Championship Division (formerly 1-AA) team, but Washington State should survive at home. Leach, who is a passing savant, has another rocket-armed gunslinger this season at QB, with Gardner Minshew completing 66.7 percent of his passes for 733 yards and 6 TDs in two games for the Cougars. It's great to see the Cougs' get off to a solid start, after the trauma of sadly losing their starting quarterback, Tyler Hilinski, to suicide in the offseason. Don't be surprised if Leach is able to get the Cougars to 6 or 7 wins this season, making a bowl game in a season many expected to go sideways quickly. Alas, we've finally reached the prodigal sons of Tucson, who are coming off one of the worst road performances imaginable. The Wildcats were beat up and broken down in Houston last week, coughing up 551 offensive yards and a litany of touchdowns to the Cougars. Tucson, if you haven't noticed, is in full-on panic mode right now, after back-to-back losses to Cougar-named squads (BYU and Houston) with QB Khalil Tate completing a dismal 51.9 percent of his passes this season. It's not all Tate's fault, obviously, but the Wildcats' sorry offensive line situation leaves them with little shot at prosperity in coach Kevin Sumlin's first year in Tucson. The Wildcats should get a welcome reprieve this week, when Southern Utah brings its broken down offense to Tucson for week three. After that, it's a guessing game to determine if the 'Cats can win any of their games going forward. It's been a brutally tough opening couple of weeks for first-year UCLA coach Chip Kelly in Westwood, losing to Cincinnati and Oklahoma by a combined score of 76-38. The Bruins were blitzed in Norman last week, giving up 306 passing yards to future MLB prospect Kyler Murray and the Oklahoma Sooners in a 28-point laugher. The positives for the Bruins are tough to spot in the aftermath of such a one-sided affair, but QB Dorian Thompson-Robinson did play well for Kelly's squad in the loss, completing 16-of-26 passes for 254 yards and a touchdown. The Bruins will be a good team in time, but unfortunately for those in Westwood, that time is a ways off in the distance. It's been a long damn time since the Beavers were relevant in anything besides baseball (though, to be fair, they are quite good at that). New coach Jonathan Smith has a long way to go to get OSU up to its peers in Eugene, and it's going to be a long and winding road to get there. At least the Beavers were able to savor the sweet taste of victory once this season, rolling over that Southern Utah team I mentioned above. Hopefully Beavers fans enjoyed that brief taste of success, as they're likely to lose most of their games this season. They have a punching chance against Nevada this week, against a Wolfpack squad that lost to Vanderbilt by 31 points on Saturday. Things look bleak after that, with ESPN's Football Power Index giving them less than a 40 percent chance to win any of their conference games this fall. Their best shot, according to that index is against the Wildcats on Sept. 22, with a 39.1 percent shot at victory, according to the four-letter network.